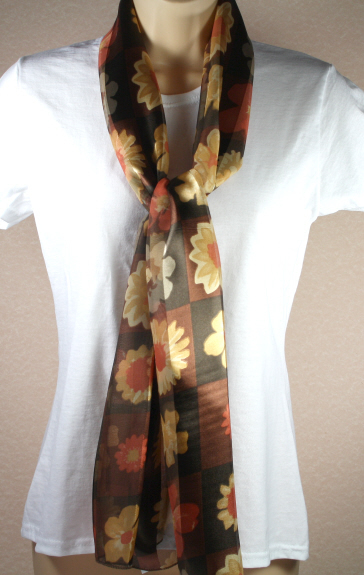 Ladies Brown Flower Scarf. A scarf with blue, gold and brown colours and striped banding. Long straight scarf.